211380 F4GE Iveco F4GE series diesel engine. 211381 F4GE0404A*D653 Iveco F4GE0404A*D653 Industrial Diesel Engine Spare Parts Catalog. 211382 F4GE0404A*D655 Iveco F4GE0404A*D655 Industrial Diesel Engine Spare Parts Catalog. 211383 F4GE0404A*D656 Iveco F4GE0404A*D656 Industrial Diesel Engine Spare Parts Catalog. 211384 F4GE0404A*D657 Iveco F4GE0404A*D657 Industrial Diesel Engine Spare Parts Catalog. 211385 F4GE0404B*D650 Iveco F4GE0404B*D650 Industrial Diesel Engine Spare Parts Catalog. 211386 F4GE0407A*B600 Iveco \F4GE0407A*B600 Industrial Diesel Engine Spare Parts Catalog. 211387 F4GE0454A*D601 Iveco F4GE0454A*D601 Industrial Diesel Engine Spare Parts Catalog. 211388 F4GE0454A*D606 Iveco F4GE0454A*D606 Industrial Diesel Engine Spare Parts Catalog. 211389 F4GE0454A*D660 Iveco F4GE0454A*D660 Industrial Diesel Engine Spare Parts Catalog. 211390 F4GE0454A*D661 Iveco F4GE0454A*D661 Industrial Diesel Engine Spare Parts Catalog. 211391 F4GE0454A*D662 Iveco F4GE0454A*D662 Industrial Diesel Engine Spare Parts Catalog. 211392 F4GE0454C Iveco F4GE0454C Industrial Diesel Engine Service (workshop / repair) Manual. 211393 F4GE0454C*D660 Iveco F4GE0454C*D660 Industrial Diesel Engine Spare Parts Catalog. 211394 F4GE0457A*B600 Iveco F4GE0457A*B600 Industrial Diesel Engine Spare Parts Catalog. 211395 F4GE0484C*D604 Iveco F4GE0484C*D604 Industrial Diesel Engine Spare Parts Catalog. 211396 F4GE0484C*D650 Iveco F4GE0484C*D650 Industrial Diesel Engine Spare Parts Catalog. 211397 F4GE0484C*D651 Iveco F4GE0484C*D651 Industrial Diesel Engine Spare Parts Catalog. 211398 F4GE0484C*D660 Iveco F4GE0484C*D660 Industrial Diesel Engine Spare Parts Catalog. 211399 F4GE0484E Iveco F4GE0484E Industrial Diesel Engine Service (workshop / repair) Manual. 211400 F4GE0484G Iveco F4GE0484G Industrial Diesel Engine Service (workshop / repair) Manual. 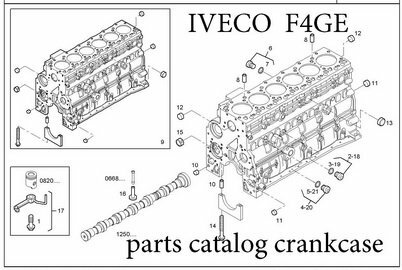 211401 F4GE0484G*D604 Iveco F4GE0484G*D604 Industrial Diesel Engine Spare Parts Catalog. 211402 F4GE0484G*D607 Iveco F4GE0484G*D607 Industrial Diesel Engine Spare Parts Catalog. 211403 F4GE0484G*D675 Iveco F4GE0484G*D675 Industrial Diesel Engine Spare Parts Catalog. 211404 F4GE0487A*B600 Iveco F4GE0487A*B600 Industrial Diesel Engine Spare Parts Catalog. 211405 F4GE0487B*B600 Iveco F4GE0487B*B600 Industrial Diesel Engine Spare Parts Catalog. 211406 F4GE0604A*D601 Iveco F4GE0604A*D601 Industrial Diesel Engine Spare Parts Catalog. 211407 F4GE0604A*D602 Iveco F4GE0604A*D602 Industrial Diesel Engine Spare Parts Catalog. 211408 F4GE0604A*D650 Iveco F4GE0604A*D650 Industrial Diesel Engine Spare Parts Catalog. 211409 F4GE0604A*D651 Iveco F4GE0604A*D651 Industrial Diesel Engine Spare Parts Catalog. 211410 F4GE0606A Iveco F4GE0606A Industrial Diesel Engine Service (workshop / repair) Manual. 211411 F4GE0684C*D650 Iveco F4GE0684C*D650 Industrial Diesel Engine Spare Parts Catalog. 211412 F4GE0684C*D651 Iveco F4GE0684C*D651 Industrial Diesel Engine Spare Parts Catalog. 211413 F4GE0684C*D652 Iveco F4GE0684C*D652 Industrial Diesel Engine Spare Parts Catalog. 211414 F4GE0684E*D601 Iveco F4GE0684E*D601 Industrial Diesel Engine Spare Parts Catalog. 211415 F4GE0684E*D650 Iveco F4GE0684E*D650 Industrial Diesel Engine Spare Parts Catalog. 211416 F4GE0684F Iveco F4GE0684F Industrial Diesel Engine Service (workshop / repair) Manual. 211417 F4GE0684G*D601 Iveco F4GE0684G*D601 Industrial Diesel Engine Spare Parts Catalog. 211418 F4GE0684G*D602 Iveco F4GE0684G*D602 Industrial Diesel Engine Spare Parts Catalog. 211419 F4GE0684G*D603 Iveco F4GE0684G*D603 Industrial Diesel Engine Spare Parts Catalog. 211420 F4GE0687A*B600 Iveco F4GE0687A*B600 Industrial Diesel Engine Spare Parts Catalog. 211421 F4GE0687A*B601 Iveco F4GE0687A*B601 Industrial Diesel Engine Spare Parts Catalog. 211422 F4GE9454C Iveco F4GE9454C Industrial Diesel Engine Service (workshop / repair) Manual. 211423 F4GE9454H Iveco F4GE9454H Industrial Diesel Engine Service (workshop / repair) Manual. 211424 F4GE9454H*J603 Iveco F4GE9454H*J603 Industrial Diesel Engine Spare Parts Catalog. 211425 F4GE9454J Iveco F4GE9454J Industrial Diesel Engine Service (workshop / repair) Manual. 211426 F4GE9454J Iveco F4GE9454J Industrial Diesel Engine Service (workshop / repair) Manual. 211427 F4GE9454J*J600 Iveco F4GE9454J*J600 Industrial Diesel Engine Spare Parts Catalog. 211428 F4GE9454J*J601 Iveco F4GE9454J*J601 Industrial Diesel Engine Spare Parts Catalog. 211429 F4GE9454J*J603 Iveco F4GE9454J*J603 Industrial Diesel Engine Spare Parts Catalog. 211430 F4GE9454K*J600 Iveco F4GE9454K*J600 Industrial Diesel Engine Spare Parts Catalog. 211431 F4GE9484A Iveco F4GE9484A Industrial Diesel Engine Service (workshop / repair) Manual. 211432 F4GE9484A*J103 Iveco F4GE9484A*J103 Industrial Diesel Engine Spare Parts Catalog. 211433 F4GE9484D Iveco F4GE9484D Industrial Diesel Engine Service (workshop / repair) Manual. 211434 F4GE9484D*J601 Iveco F4GE9484D*J601 Industrial Diesel Engine Spare Parts Catalog. 211435 F4GE9484D*J602 Iveco F4GE9484D*J602 Industrial Diesel Engine Spare Parts Catalog. 211436 F4GE9484E Iveco F4GE9484E Industrial Diesel Engine Service (workshop / repair) Manual. 211437 F4GE9484F Iveco F4GE9484F Industrial Diesel Engine Service (workshop / repair) Manual. 211438 F4GE9484F*J603 Iveco F4GE9484F*J603 Industrial Diesel Engine Spare Parts Catalog. 211439 F4GE9484F*J604 Iveco F4GE9484F*J604 Industrial Diesel Engine Spare Parts Catalog. 211440 F4GE9484F*J605 Iveco F4GE9484F*J605 Industrial Diesel Engine Spare Parts Catalog. 211441 F4GE9484H Iveco F4GE9484H Industrial Diesel Engine Service (workshop / repair) Manual. 211442 F4GE9484J Iveco F4GE9484J Industrial Diesel Engine Service (workshop / repair) Manual. 211443 F4GE9484J*J602 Iveco F4GE9484J*J602 Industrial Diesel Engine Spare Parts Catalog. 211444 F4GE9484K Iveco F4GE9484K Industrial Diesel Engine Service (workshop / repair) Manual. 211445 F4GE9684A Iveco F4GE9684A Industrial Diesel Engine Service (workshop / repair) Manual. 211446 F4GE9684A*J602 Iveco F4GE9684A*J602 Industrial Diesel Engine Spare Parts Catalog. 211447 F4GE9684B Iveco F4GE9684B Industrial Diesel Engine Service (workshop / repair) Manual. 211448 F4GE9684C Iveco F4GE9684C Industrial Diesel Engine Service (workshop / repair) Manual. 211449 F4GE9684D Iveco F4GE9684D Industrial Diesel Engine Service (workshop / repair) Manual. 211450 F4GE9684D*J601 Iveco F4GE9684D*J601 Industrial Diesel Engine Spare Parts Catalog. 211451 F4GE9684D*J602 Iveco F4GE9684D*J602 Industrial Diesel Engine Spare Parts Catalog. 211452 F4GE9684E Iveco F4GE9684E Industrial Diesel Engine Service (workshop / repair) Manual. 211453 F4GE9684E*J602 Iveco F4GE9684E*J602 Industrial Diesel Engine Spare Parts Catalog. 211454 F4GE9684F Iveco F4GE9684F Industrial Diesel Engine Service (workshop / repair) Manual. 211455 F4GE9684F*J601 Iveco F4GE9684F*J601 Industrial Diesel Engine Spare Parts Catalog. 211456 F4GE9684G Iveco F4GE9684G Industrial Diesel Engine Service (workshop / repair) Manual. 211457 F4GE9684R Iveco F4GE9684R Industrial Diesel Engine Service (workshop / repair) Manual. 211458 F4GE0405A*F600 Iveco F4GE0405A*F600 Genset Engine Spare Parts Catalog. 211459 F4GE0405A*F650 Iveco F4GE0405A*F650 Genset Engine Spare Parts Catalog. 211460 F4GE0405B*F600 Iveco F4GE0405B*F600 Genset Engine Spare Parts Catalog. 211461 F4GE0455A*F600 Iveco F4GE0455A*F600 Genset Engine Spare Parts Catalog. 211462 F4GE0455A*F650 Iveco F4GE0455A*F650 Genset Engine Spare Parts Catalog. 211463 F4GE0455B*F600 Iveco F4GE0455B*F600 Genset Engine Spare Parts Catalog. 211464 F4GE0455C*F600 Iveco F4GE0455C*F600 Genset Engine Spare Parts Catalog. 211465 F4GE0455C*F650 Iveco F4GE0455C*F650 Genset Engine Spare Parts Catalog. 211466 F4GE0455N*D600 Iveco F4GE0455N*D600 Genset Engine Spare Parts Catalog. 211467 F4GE0485A*F600 Iveco F4GE0485A*F600 Genset Engine Spare Parts Catalog. 211468 F4GE0485A*F650 Iveco F4GE0485A*F650 Genset Engine Spare Parts Catalog. 211469 F4GE0485C*F600 Iveco F4GE0485C*F600 Genset Engine Spare Parts Catalog. 211470 F4GE0485C*F650 Iveco F4GE0485C*F650 Genset Engine Spare Parts Catalog. 211471 F4GE0655B*B601 Iveco F4GE0655B*B601 Genset Engine Spare Parts Catalog. 211472 F4GE0685B*F601 Iveco F4GE0685B*F601 Genset Engine Spare Parts Catalog. 211473 F4GE0685B*F650 Iveco F4GE0685B*F650 Genset Engine Spare Parts Catalog. 211474 F4GE0685D*F601 Iveco F4GE0685D*F601 Genset Engine Spare Parts Catalog. 211475 F4GE0685D*F650 Iveco F4GE0685D*F650 Genset Engine Spare Parts Catalog. 211476 F4GE0685D*F651 Iveco F4GE0685D*F651 Genset Engine Spare Parts Catalog. 211477 F4GE9455A*J600 Iveco F4GE9455A*J600 Genset Engine Spare Parts Catalog. 211478 F4GE9455B*J600 Iveco F4GE9455B*J600 Genset Engine Spare Parts Catalog. 211479 F4GE9485A*J600 Iveco F4GE9485A*J600 Genset Engine Spare Parts Catalog. 211480 F4GE9685A*J600 Iveco F4GE9685A*J600 Genset Engine Spare Parts Catalog. 211481 F4GE0454A*D655 Iveco F4GE0454A*D655 Diesel Engine for Agricultural applicatin Spare Parts Catalog. 211482 F4GE0484C*D602 Iveco F4GE0484C*D602 Diesel Engine for Agricultural applicatin Spare Parts Catalog. 211483 F4GE0684C*D608 Iveco F4GE0684C*D608 Diesel Engine for Agricultural applicatin Spare Parts Catalog. 211500 F4HE Iveco F4HE series diesel engine. 211501 F4HE0684J Iveco F4HE0684J Industrial Diesel Engine Service (workshop / repair) Manual. 211502 F4HE9484A Iveco F4HE9484A Industrial Diesel Engine Service (workshop / repair) Manual. 211503 F4HE9484A*J101 Iveco F4HE9484A*J101 Industrial Diesel Engine Spare Parts Catalog. 211504 F4HE9484A*J104 Iveco F4HE9484A*J104 Industrial Diesel Engine Spare Parts Catalog. 211505 F4HE9484P Iveco F4HE9484P Industrial Diesel Engine Service (workshop / repair) Manual. 211506 F4HE9684A Iveco F4HE9684A Industrial Diesel Engine Service (workshop / repair) Manual. 211507 F4HE9684B Iveco F4HE9684B Industrial Diesel Engine Service (workshop / repair) Manual. 211508 F4HE9684C Iveco F4HE9684C Industrial Diesel Engine Service (workshop / repair) Manual. 211509 F4HE9684D Iveco F4HE9684D Industrial Diesel Engine Service (workshop / repair) Manual. 211510 F4HE9684E Iveco F4HE9684E Industrial Diesel Engine Service (workshop / repair) Manual. 211511 F4HE9684F Iveco F4HE9684F Industrial Diesel Engine Service (workshop / repair) Manual. 211512 F4HE9684G Iveco F4HE9684G Industrial Diesel Engine Service (workshop / repair) Manual. 211513 F4HE9684J Iveco F4HE9684J Industrial Diesel Engine Service (workshop / repair) Manual. 211514 F4HE9684M Iveco F4HE9684M Industrial Diesel Engine Service (workshop / repair) Manual. 211515 F4HE9684P Iveco F4HE9684P Industrial Diesel Engine Service (workshop / repair) Manual. 211516 F4HE9684P*J100 Iveco F4HE9684P*J100 Industrial Diesel Engine Spare Parts Catalog. 211517 F4HE9684P*J101 Iveco F4HE9684P*J101 Industrial Diesel Engine Spare Parts Catalog. 211518 F4HE9684Q Iveco F4HE9684Q Industrial Diesel Engine Service (workshop / repair) Manual. 211519 F4HE9684T Iveco F4HE9684T Industrial Diesel Engine Service (workshop / repair) Manual. 211520 F4HE9684U Iveco F4HE9684U Industrial Diesel Engine Service (workshop / repair) Manual. 211521 F4HE9684V Iveco F4HE9684V Industrial Diesel Engine Service (workshop / repair) Manual. 211522 F4HE9684W Iveco F4HE9684W Industrial Diesel Engine Service (workshop / repair) Manual. 211523 F4HE9684W*J101 Iveco F4HE9684W*J101 Industrial Diesel Engine Spare Parts Catalog. 211524 F4HE0685A*F100 Iveco F4HE0685A*F100 Genset Engine Spare Parts Catalog. 211525 F4HE0685A*F101 Iveco F4HE0685A*F101 Genset Engine Spare Parts Catalog. 211526 F4HE9685A*J100 Iveco F4HE9685A*J100 Genset Engine Spare Parts Catalog. 211527 F4HE9687 Iveco F4HE9687 Diesel Engine for Agricultural applicatin Service (workshop / repair) Manual. 211528 F4HE9687A Iveco F4HE9687A Diesel Engine for Agricultural applicatin Service (workshop / repair) Manual. 211529 F4HE9687A*J100 Iveco F4HE9687A*J100 Diesel Engine for Agricultural applicatin Spare Parts Catalog. 211530 F4HE9687B Iveco F4HE9687B Diesel Engine for Agricultural applicatin Service (workshop / repair) Manual. 211531 F4HE9687E Iveco F4HE9687E Diesel Engine for Agricultural applicatin Service (workshop / repair) Manual. 211532 F4HE9687P Iveco F4HE9687P Diesel Engine for Agricultural applicatin Service (workshop / repair) Manual. 211533 F4HE9687X Iveco F4HE9687X Diesel Engine for Agricultural applicatin Service (workshop / repair) Manual. 211540 F5CE Iveco F5CE series diesel engine. 211541 F5CE5454B*A004 Iveco F5CE5454B*A004 Industrial Diesel Engine Spare Parts Catalog. 211542 F5CE9454E*A006 Iveco F5CE9454E*A006 Industrial Diesel Engine Spare Parts Catalog. 211543 F5CE9484E*A001 Iveco F5CE9484E*A001 Industrial Diesel Engine Spare Parts Catalog. 211544 F5CE9484G*A001 Iveco F5CE9484G*A001 Industrial Diesel Engine Spare Parts Catalog. 211545 F5CE0405A*B001 Iveco F5CE0405A*B001 Genset Engine Spare Parts Catalog. 211546 F5CE0455A*B001 Iveco F5CE0455A*B001 Genset Engine Spare Parts Catalog. 211547 F5CE0485A*B001 Iveco F5CE0485A*B001 Genset Engine Spare Parts Catalog. 211548 F5CE9405A*A001 Iveco F5CE9405A*A001 Genset Engine Spare Parts Catalog. 211549 F5CE9455B*A001 Iveco F5CE9455B*A001 Genset Engine Spare Parts Catalog. 211550 F5CE9459B*A001 Iveco F5CE9459B*A001 Genset Engine Spare Parts Catalog. 211551 F5CE9485B*A001 Iveco F5CE9485B*A001 Genset Engine Spare Parts Catalog. 211560 FVAE Iveco FVAE series diesel engine. 211561 FVAE2884A Iveco FVAE2884A Industrial Diesel Engine Service (workshop / repair) Manual. 211562 FVAE2884A*B200 Iveco FVAE2884A*B200 Industrial Diesel Engine Spare Parts Catalog. 211563 FVAE2884A*B201 Iveco FVAE2884A*B201 Industrial Diesel Engine Spare Parts Catalog. 211564 FVAE2884A Iveco FVAE2884A Genset Engine Service (workshop / repair) Manual. 211565 FVAE2885X Iveco FVAE2885X Genset Engine Service (workshop / repair) Manual. 211566 FVAE2885X*A100 Iveco FVAE2885X*A100 Genset Engine Spare Parts Catalog.